by Jane Nelsen, Ed.D., M.F.C.C., Lynn Lott, M.A., M.F.C.C. Good. 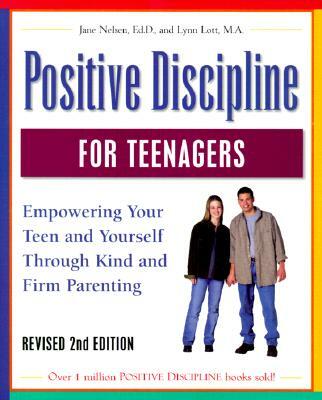 Positive Discipline for Teenagers: Empowering Your Teen and Yourself through Kind and Firm Parenting (Positive Discipline Library) by Lott, Lynn, 2003-11-01. Trade paperback (US). Glued binding. 368 p. Contains: Illustrations. Positive Discipline Library.